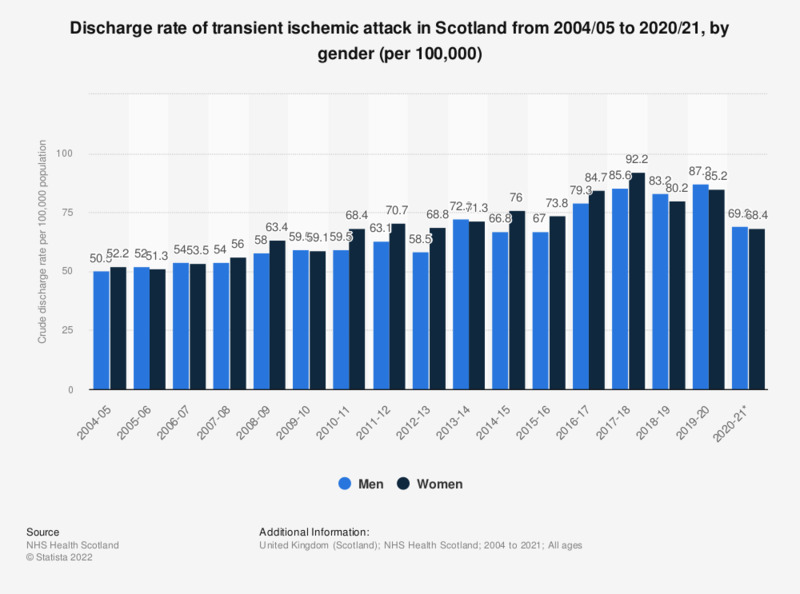 This statistic displays the discharge rate per 100,000 population of transient ischemic attacks in Scotland, from 2004/05 to 2017/18, by gender. In 2017/18, men were discharged at a rate of 85.5 per 100,000 population and women were discharged at a rate of 92 per 100,000 population. Through which sources of information have you heard about vaginal dryness?